Super Bowl 2018 Tickets available here. Get tickets now! 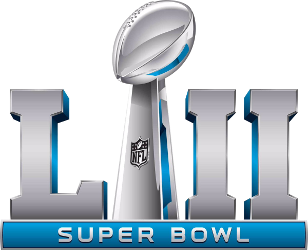 Super Bowl LII – February 4 2018, all tickets available here. A real all-American event, the Super Bowl is the annual American football match between the winners of the two NFL conferences: the National Football Conference and the American Football Conference. The Super Bowl is traditionally played on the first Sunday in February, known as Super Sunday. As you can imagine, Super Bowl tickets are highly sought after every year, and can be quite difficult for European enthusiasts to obtain as the event is so incredibly popular with American football fans. The Super Bowl is not just an American football event. On Super Bowl Sunday, the whole country virtually comes to a standstill: large groups of people gather to consume huge quantities of food – mainly pizza. Stores and businesses are abandoned. Indeed, many consider the Super Bowl to be a public holiday of sorts, with the streets literally being deserted during the game. A large number of American football fans watch the Super Bowl on television. Interestingly, the very expensive commercials shown during the breaks are as much a talking point as the game itself, with some commercials costing as much as a whopping $4 million. Then there are the lucky ones who manage to secure Super Bowl tickets. Not only do they get to watch the game itself: they can also enjoy the famous halftime entertainment when world-famous musicians treat the audience to a mini concert. Global stars, including Madonna, Prince, The Who and the Rolling Stones have made appearances in front of rapt audiences. Teams for which expectations are high include the Pittsburgh Steelers, the San Francisco 49ers and Dallas Cowboys, yet anything can happen in American football. There are no favorite teams who are bound to win, which is often the case in European football competitions. University of Phoenix Stadium, Glendale, Arizona will be hosting the Super Bowl XLIX February 1, 2015. Upcoming Super Bowl Locations are for the 2016 Super Bowl: Levi’s Stadium, Santa Clara, Calif and for the 2017 Super Bowl: Reliant Stadium, Houston, Texas. Super Bowl 2015 tickets for the Super Bowl at the University of Phoenix Stadium in Glendale, Arizona – home to the Arizona Cardinals – can be secured through ProvidingTickets. Do you want to watch your favourite American football team win the Vince Lombardi Trophy? Or do you just want to experience a slice of authentic American culture live? Whatever your motives, ProvidingTickets is able to source the required Super Bowl tickets. Why not contact us today to discuss your preferences? ProvidingTickets uses a trusted global network of suppliers and this greatly facilitates the sourcing of tickets for the Super Bowl.